I will say that my experience, after being exposed to the realities of the modern societies, has been full of unanswered questions. Freedom? Liberty? Money?…. What is the goal or the destination of modernity? What future are the daydreaming leaders of these societies expecting for the youth? Those still stand as question marks as i see the future of billions of souls being broken down and rebuilt over and over, while all that is needed is to free people’s spirits and hearts from the trap of their dreams, the chains of the illusions that modern ideologies insist on forcing on everyone. The individual now finds him/herself thrown in the society without being advised about survival in life, without culture, without knowledge of nature and the self. Why then is the whole society astonished that so many individuals are committing senseless acts to the point where he/she is forced to move forward in life against their own nature, the universe and their own fate or purpose on Earth. “A human without mastery of natural principles and customary or traditional values, is nothing but an animal ready to be chained and dragged around.” Said one of my initiation elders. The absence of initiation seems to be the undesired, fundamental truth that every soul in the West is suffering from, without really understanding the cause of all the governmentally and religiously fabricated adversities that they are going through. eople when it does not even have real answers to the above questions? It is written that the soul, the spirit as well as the body, after ages and generations away from these dimensions, need to be reminded of their existence and then learn how to adapt to the new terrestrial realities they have been reborn into. This is where M’TAM school of Kemetic Philosophy and Spirituality comes into the picture: to assist, reeducate and initiate the new (modern) human being about who they are, where they are standing and where they should be going. M’TAM School of Kemetic Philosophy and Spirituality offers the initiatic education as taught in the traditions of Kemet since the Pharaonic period. The initiatic knowledge has been separated into three subjects to make it accessible to an individual in the modern lifestyle. Although the knowledge is presented positioned in a class format that is more familiar to the modern school system, it is very different. The initiation process is not limited to the few hours that the classes meet. It is found through the interaction within the community where the knowledge must be applied and assimilated. M’TAM initiation is engineered to provide the individual with the tools, the knowledge and the principles in order to live the life of Kem. Our human Ancestors defined a Kem as a human who has overcome all adversities of the Perankh (House of Life) level of initiation and who is obsessed for the quality of his/her spiritual life. With the blessings of all of the Kem people around the planet and since the beginning of human history, I would like to introduce our recent generation of individuals who have conquered themselves and achieved the very last challenges and requirements of being a Kem. I am sure these two individuals will tell you that it has been a rocky and difficult path on this journey, but worth it. How cheap can one’s life be for it to be easy? Wouldn’t you go as far as necessary in order to develop your morality and personal qualities? This was a matter of spiritual and physical growth for these two brave men just like many brave men and women before them. 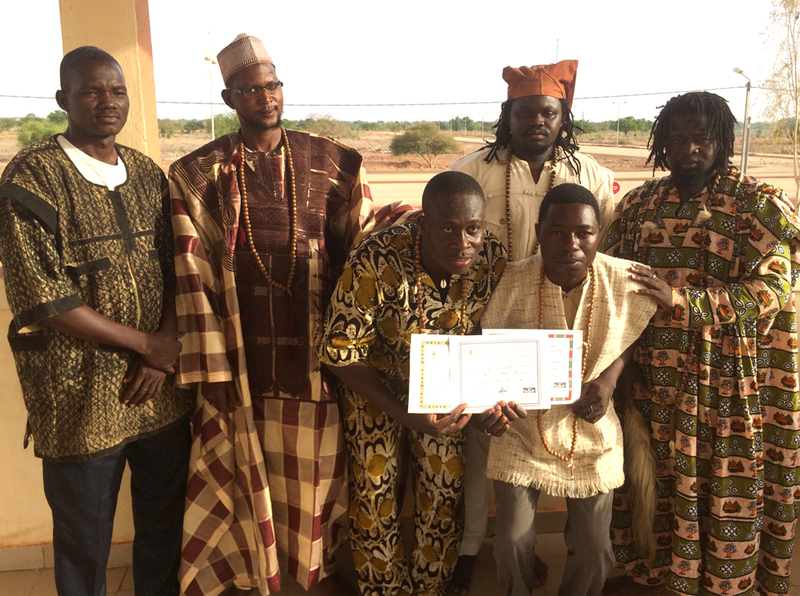 The M’TAM Schools around the world and The Earth Center are proud to introduce and welcome ZOUADJI (formerly N’Do Georges) and SASEBIK (formerly Bourkane Esso) HABZNETERI among the Kem people. After the process of initiation, every initiate then is given a Kemetic name according to the destiny imposed on him/her by the universe, the Divine World, the Ancestors and the Earth. This name is chosen after investigating into the Earth energies to know the kind of entity the individual is in the existence and the identity the Ancestors and Earth have for them. After all, this will be the planet to take care of them. ZOUADJI carries the concept of the Creator of prosperity, one that brings evolution. One that changes everything for the better. SASEBIK is translated as the Son of the God SEBIK. (Sebik is one of the creators Gods who protects humans against evil. This is a Deity who works for the stability of the universe. He is a water God. He helps and protects against poverty and disease). From now on we, the Kem people, will be expecting these two fresh initiates to live up their life on Earth according to the energies and destiny their initiation names impose on them. This will be their identity on Earth. Also Zwadji and Sasebik will share a generational name based on the experience they went through in order for them to be standing together today. 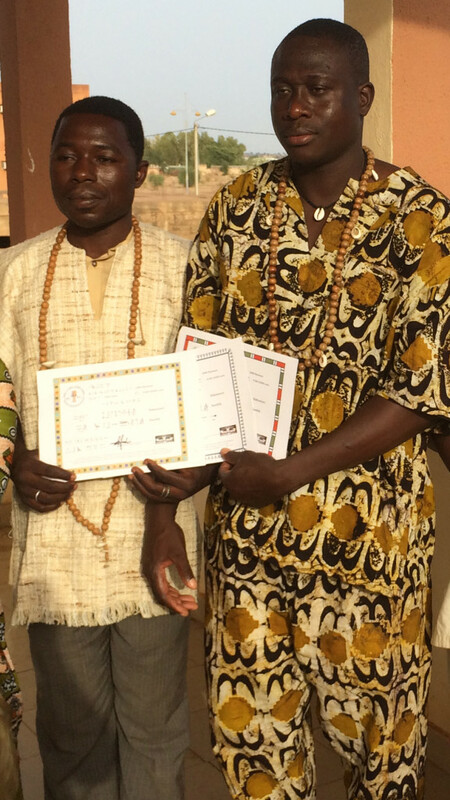 According to the initiatic temples and camps Zouadji and Sasebik have become spiritual brothers and share now a spiritual family name together. Their family name is HABZNETERI, which means Divine Lantern. As a group of two people, they will also carry the destiny of pathfinders or enlighteners for human awareness everywhere and anytime. So often, people talk passionately about the awareness of the spirit and the mind but it’s important not to confuse the difference between being aware and being enlightened. Awareness happens but enlightenment is hard work and an uphill journey. So, that being said, may the Earth and your Ancestors protect you fresh graduates and may you two face your destiny with pride, discipline, humility and rigidity. May you fight evil, corruption and obscurantism wherever they are on this planet… Em Ren MAAKHERU!